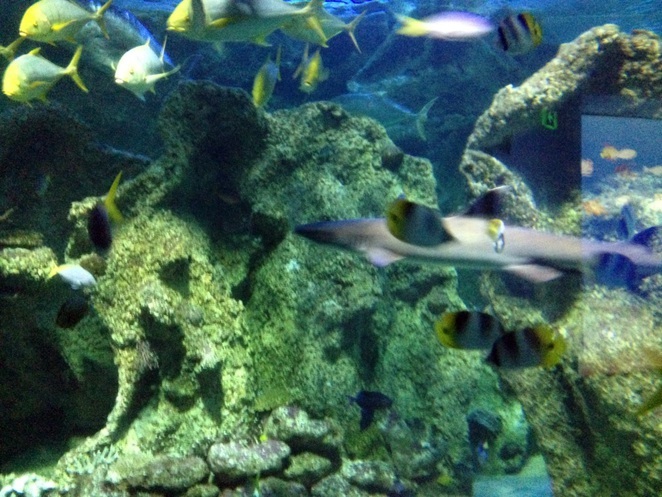 If you are looking for an adventure you and your kids will never forget, consider doing the Shark Reef Snorkel at the Sea Life Sydney Aquarium. You get to experience what it's like snorkeling the Great Barrier Reef right in the heart of Sydney. 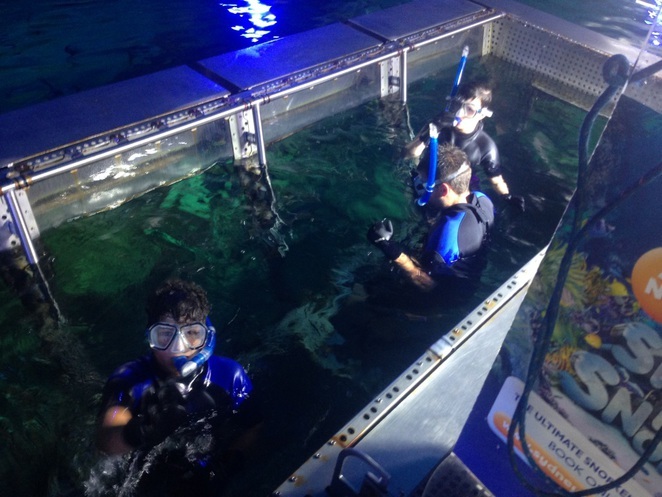 Not only do you get to fully immerse underwater, but you get to see the ocean's most beautiful and amazing creatures including sharks, sawfish and tropical fish. 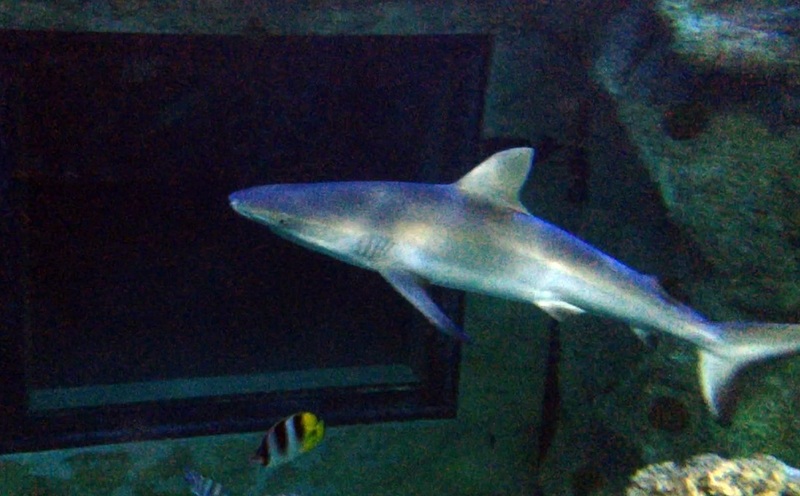 If you are feeling anxious at the thought of coming face to face with sharks, don't worry your snorkel takes place in a safe, see through enclosure and best of all no diving experience is necessary. 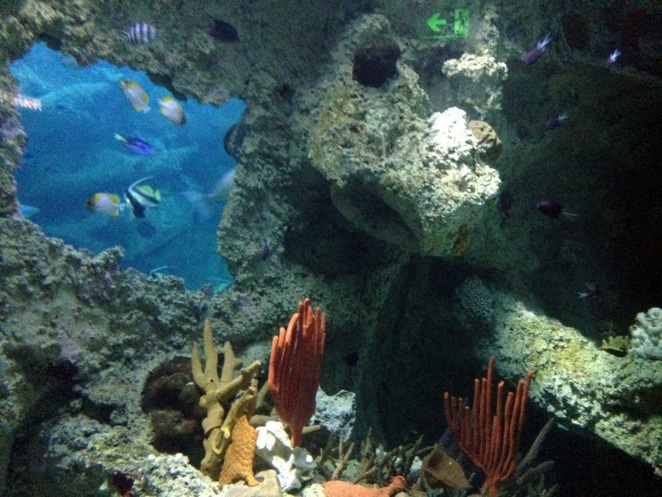 When you arrive at the Aquarium, go to the ticket counter, where you can check in for your dive. You will then be met by a guide who will take you behind the scenes of the aquarium and explain how this sea life sanctuary operates, the types of fish and sea creatures that can be found and provide you with fascinating facts. For example, did you know that shark eggs take anywhere between 12-18 months to hatch, depending on the water temperature? 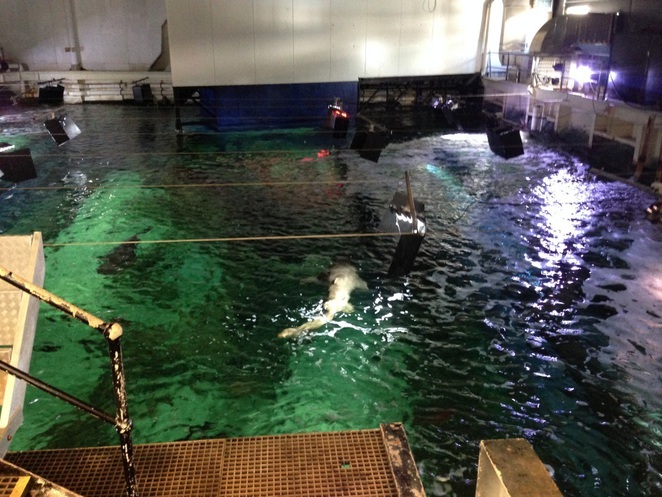 After your behind the scenes tour, your friendly marine expert gives a full instructional briefing and orientation. 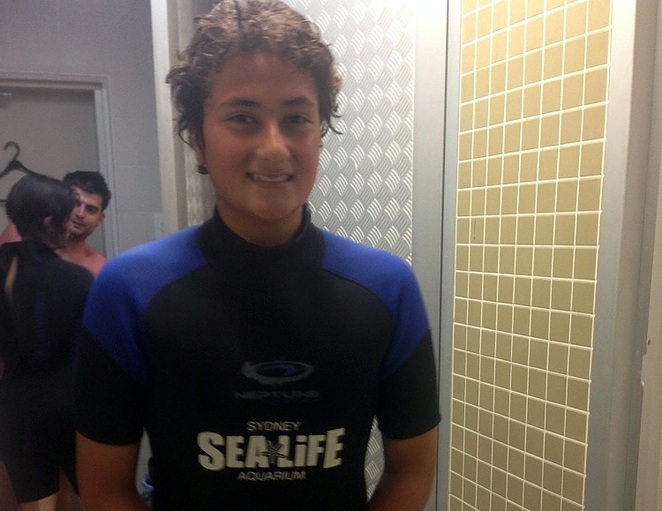 You are then taken to the change room where you are provided with a wetsuit, boots, gloves, goggles and snorkel. Your personal belongings are locked inside the change rooms. 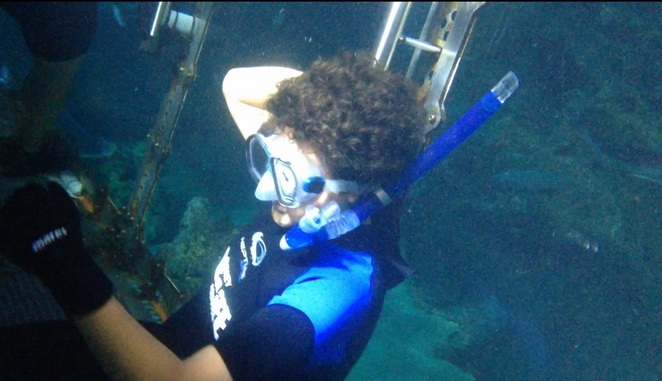 You enter the clear enclosure via a ladder and the water is approximately chest deep on an average sized adult. The water temperature in the tank is a pleasant 26-28 degrees C. For children who are not strong swimmers and cannot reach the bottom of the pool, the guide will provide foam noodles to help them float. Kids under the age of 15 must be accompanied by an adult. 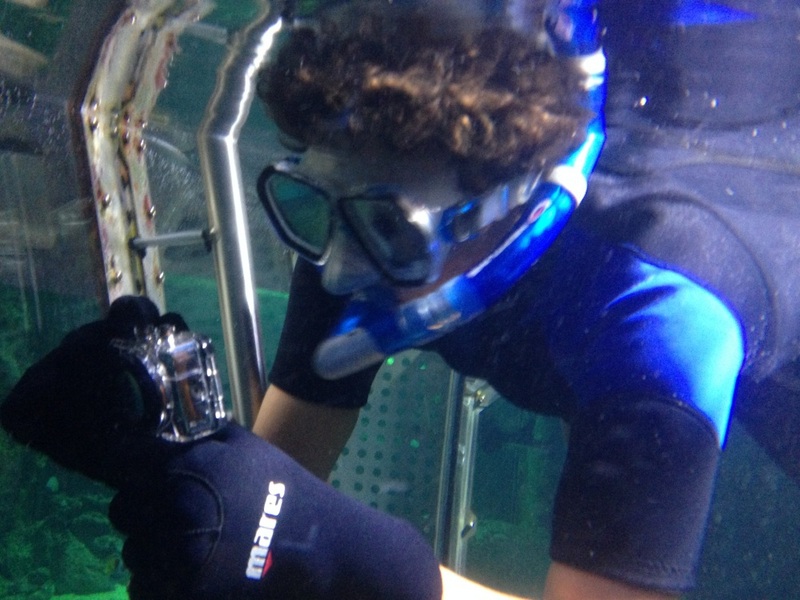 Once you are inside the enclosure you have 20 – 40 minutes in the water to experience life on the The Great Barrier Reef. Family and friends will also be able to see you from below the aquarium, so don't forget to smile for the camera. At the end of your adventure, you are taken back to the change rooms, where you can have a shower and get changed. You are then free to explore the aquarium as your ticket includes admission to the Aquarium. Maximum number of people that can participate in each session is 4 and the minimum age is 5 years. The experience lasts approximately 90 minutes and there are several sessions available each day including: 10am, 12.30pm and 2.30pm. You will need to bring your swimsuit and a towel and if you have an underwater camera, you can bring that also, however, there is an additional $20 fee if you wish to take photos. 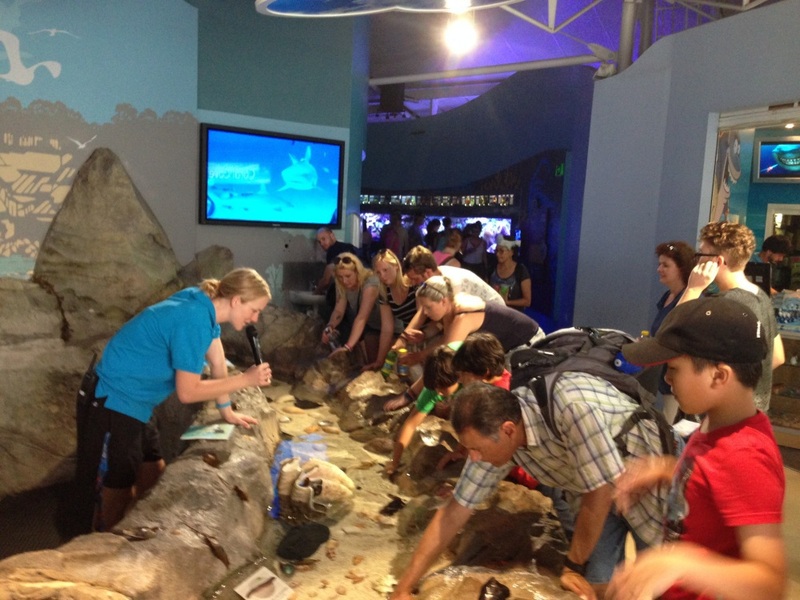 Tickets can be purchased from the Sydney Sea Life Aquarium's website. If you are driving to Darling Harbour, park at one of the approved parking stations and you can get your parking ticket validated upon entry, so you pay as little as $8 to park in Sydney all day. Find out more about parking at Darling Harbour. 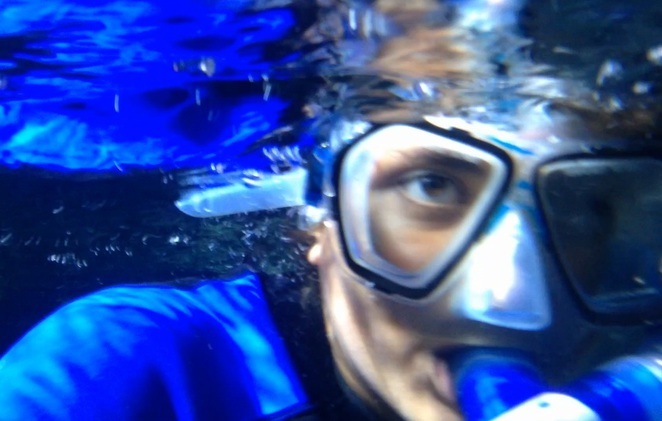 Shark Reef Snorkel is a once in a lifetime experience and ideal for the whole family. If you have visitors coming from overseas, why not surprise them with tickets to this exciting adventure. That's 's an interesting fact about shark eggs.